Who is Thomas Mott Osborne? And what is The Castle? These questions will be answered at the Auburn, NY premiere of a new documentary about Thomas Mott Osborne on Sunday, October 14 at 2:00 p.m. at Theater Mack at the Cayuga Museum. Filmmaker Neil Novello and Osborne biographer, David Connelly, will discuss the film after the screening. This program is free and open to the public. Thomas Mott Osborne’s statue stands in front of the Auburn, NY Police and Fire Departments. 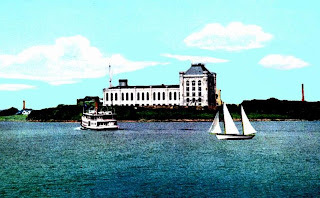 The Castle refers to the 105 year-old Portsmouth Naval prison that stands empty on a bluff in the Piscataqua River separating Maine and New Hampshire adjacent to the Portsmouth Naval Shipyard. But what do these two (Osborne & The Castle) have in common? It is written in the Navy’s history of the Portsmouth Naval Prison aka The Castle that Thomas Mott Osborne “introduced a new era and a new viewpoint to the Naval prison.” From 1917 to 1921, Auburn prison reformer and resident, Thomas Mott Osborne, was the only civilian commander of the Naval Prison. Osborne hadn’t served in the Navy. “Osborne is either a nut or a visionary,” says Pulitzer Prize winner and Auburn resident, David Connelly, who worked with Award-winning filmmaker Neil Novello from Maine on what is the only video documentary ever made about the Auburn industrialist turned humanitarian in the early 20th Century. The always-controversial Thomas Mott Osborne brought scandal, prison reform and a movie crew to the Portsmouth Naval Prison aka The Castle. ”Osborne’s command of the Naval Prison just maybe the culmination of Osborne’s prison reform career,” says Mr. Novello who started on this documentary five years ago. Novello’s filmmaking journey started with his visit to the Syracuse University’s Bird Library to do research on Osborne. He went through box after box of Osborne’s history at the Naval Prison, which provided many great photos, newspaper articles, as well as Osborne’s writings. It was the Bird Library librarian who told Novello about Osborne biographer, David Connelly. In the course of a year, David Connelly generously gave of his research time and family time to be a part of this documentary. Connelly knew Frederik (Erik) Osborne, TMO’s grandson, who had the remaining two reels of the Osborne-produced propaganda prison silent feature movie. “The Right Way” was filmed at the Naval Prison using prisoners as extras. The other important person who gave generously of her time to Novello was Eileen McHugh, Director of the Cayuga Museum of Art and History. The Museum had a copy of Osborne in a 1926 experimental sound movie filmed at the Case Laboratories in Auburn where Osborne mentions the Portsmouth Naval Prison and talks about his reform ideas. McHugh provided Mr. Novello an area in the basement of the museum to videotape David Connelly’s interview and McHugh also secured, via the Cayuga Museum’s archive, photos of early Auburn as well as Osborne and his family. To understand Commander Osborne’s Naval prison experience, Novello needed to include Osborne’s family and his work at Auburn and Sing Sing state prisons in New York where he disguised himself as a prisoner to find out what life was like inside. When Osborne went to the Naval Prison, he disguised himself as a prisoner for a report to the Secretary of the Navy. While Commander of the Naval Prison, again Osborne disguised himself as a sailor and was a coal shoveler on the USS North Dakota as a way to understand Navy life. Osborne became known for his Mutual Welfare League system where prisoners manage prisoners. The Mutual Welfare League was used at Auburn State prison and in Sing Sing state prison as well as the Naval prison. With the additional photos provided by Ossining Historical Society in New York, and movie film (of Naval sea exercises and World War One) provided by the National Archive, Novello had the visual ingredients for his documentary about Osborne’s experience at the Naval Prison which in a way, culminates his prison reform career. Novello wanted to premiere TMO@The Castle in Auburn at the Cayuga Museum of Art and History’s newly restored Theater Mack. “It’s most fitting to show my documentary right here,” says Novello. Novello has also produced a DVD called, The Castle: Stories of the Portsmouth Naval Prison which includes TMO@The Castle and a commentary to go with the remaining reels of Osborne’s feature movie, The Right Way. The Cayuga Museum has announced that Theater Mack, the carriage house undergoing renovation for the past several years, has reopened. 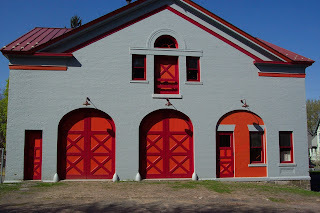 A massive brick building originally constructed around 1850 on the foundation of an earlier wooden barn, the carriage house was turned into a theater in 1941 through a collaboration between the Cayuga Museum and the Auburn Community Players. Once known as the Museum Playhouse, the building became the cultural hub of Auburn from the 1940’s through the 1960’s. The building gradually fell into disuse after the Auburn Children’s Theater, the company that became the Merry-Go-Round Playhouse, outgrew the space in the 1970’s. The in mid-1990’s, the Board of Trustees of the Cayuga Museum set an ambitious goal of restoring each of the three buildings on the Museum property. The Museum has been steadily working on that goal ever since. Before beginning on the carriage house, the Museum completed more than $1.2 million in capital improvements on the other buildings. The Case Research Laboratory, birthplace of talking films, was restored and re-opened, and the Willard-Case Mansion in which the Museum is housed was renovated. The first phase of the carriage house project was finished in May 2010, at a cost of more than $248,000. In 2011, the Museum named the carriage house Theater Mack in honor of long-time supporters the Maciulewicz family and their company, Mack Studios. Now, the Museum brings the project to fruition and the building returns to use as a multi-purpose space equipped for everything from a musical production to a wedding reception. Theater Mack is a perfect little “jewel box” of a theater, retaining much of the charm of its 19th century beginnings and adding modern amenities. There is now heat, air-conditioning, restrooms, dressing rooms, and a catering kitchen, as well as a first-class sound system, and theater lights and draperies. The lower level and the main floor have been completely renovated but the second floor, where Theodore Case created a sound studio to make his test films in the 1920’s, remains intact. The Museum now turns its attention to plans for a new Case exhibit including both the laboratory and the sound studio. It’s taken the same kind of collaboration that originally put the theater in the building during WWII to bring the project to fruition today. New York State, local foundations and many individuals and families donated more than $600,000 to the project. Several local contractors contributed their work at or below cost. The completion and re-opening of Theater Mack is a triumph for everyone involved. This totally unique building will become an asset to the Museum and the community for decades to come. The new Finger Lakes Musical Theatre Festival has rented Theater Mack for ten weeks this summer for their concept show, The Pitch. The Cayuga Museum is already programming film screenings, lectures and shows for Theater Mack for the rest of the year and it is available for rent to organizations and individuals. The History Book Club at the Cayuga Museum meets on the first Thursday of the month, at 7:00 p.m. at the Museum. Members discuss non-fiction works of history on local, national and global themes. Participation is free and readers can choose to attend any or all of the monthly meetings. Participants met recently to choose the books for the next several months. February 2: 1493: Uncovering the New World Columbus Created by Charles Mann. Mann explores the global repercussions that followed European contact with the Americas: showing how European honeybees and earthworms remade New World landscapes- how New World corn, potatoes, and fertilizer ignited Eurasian population booms- how Old World diseases prompted an eruption of slavery in the Western Hemisphere- how Latin American silver undermined China’s Ming Dynasty- and how the decimation of Indian peoples changed the world’s climate. March 1: Guns, Germs, and Steel: The Fates of Human Societies by Jared Diamond. Winner of the Pulitzer Prize. In this groundbreaking work, Diamond offers a convincing explanation of the way the modern world came to be and stunningly dismantles racially based theories of human history. 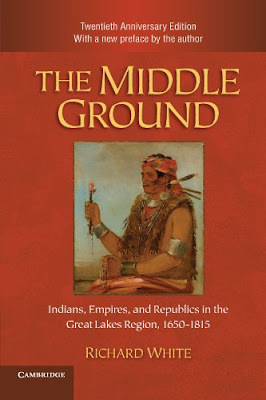 April 5: The Middle Ground: Indians, Empires, and Republics in the Great Lakes Region, 1650-1815 by Richard White. This widely acknowledged classic and Pulitzer Prize finalist tells how Europeans and Indians met, first regarding each other as alien, as other, as virtually nonhuman, and how between 1650 and 1815 they constructed a common, mutually comprehensible world in the region around the Great Lakes. Here the older worlds of the Algonquians and of various Europeans overlapped, and their mixture created new systems of meaning and of exchange. Finally, the book tells of the breakdown of accommodation and common meanings and the re-creation of the Indians as alien and exotic. First published in 1991, the 20th anniversary edition includes a new preface by the author examining the impact and legacy of this study. May 3: David Crockett: The Lion of the West by Michael Wallis . Born into a humble Tennessee family in 1786, Crockett never &#8220killed him a b’ar&#8221 when he was only three. 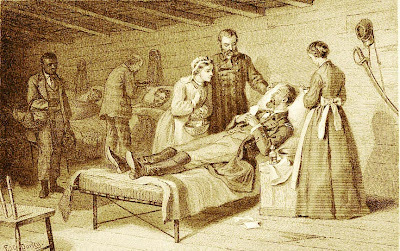 But he did cut a huge swath across early-nineteenth-century America—as a bear hunter, a frontier explorer, a soldier serving under Andrew Jackson, an unlikely congressman, and, finally, a martyr in his now-controversial death at the Alamo. June 7: New York Burning: Liberty, Slavery, and Conspiracy in Eighteenth-Century Manhattan by Jill Lepore. The little-known story of a supposed slave uprising in Manhattan in 1741, for which dozens of black men were hanged or burned at the stake. In this first-rate social history, Lepore not only adroitly examines the case’s travesty, questioning whether such a conspiracy ever existed, but also draws a splendid portrait of the struggles, prejudices and triumphs of a very young New York City in which fully one in five inhabitants was enslaved. The Cayuga Museum has announced the name of the carriage house theater currently undergoing restoration. When the theater re-opens in Spring 2012, it will be named Theater Mack in honor of the Maciulewicz family and their business, Mack Studios. The Cayuga Museum has enjoyed a long association with Mack Studios. Casimir or Chuck Maciulewicz, founder of Mack Studios, was a long-time supporter and President of the Cayuga Museum Board of Trustees. Peter Maciulewicz, present owner and CEO of Mack Studios, has served on the Museum Board of Trustees for 12 years, and is currently President. Mack Studios, now an internationally famed design company, has long donated all of the exhibit furniture and display work at the Cayuga Museum. Peter and Carol Maciulewicz have been the largest private donors to the carriage house restoration project. Since the Museum Board of Trustees decided to save the building in the 1990’s, the Museum has spent more close to $400,000 on rehabilitating the carriage house. The carriage house, known for many years as the Cayuga Museum Annex, was a vital part of the cultural life of Auburn for decades. 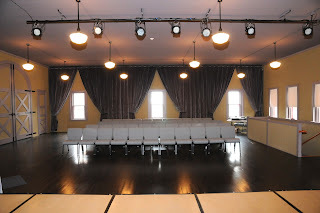 Installed through a collaboration between the Museum and the Auburn Community Players in 1941, the carriage house stage was home to plays, musicals, dance recitals, and more for more than 30 years. The company that is today the Merry-Go-Round Playhouse started in the carriage house in the 1960’s. The Cayuga Museum believes that the restored carriage house, Theater Mack, will once again become a vibrant community asset in Auburn. Drivers on Washington Street will have noticed the vibrant exterior paint job that let passers-by know that something exciting was happening at the carriage house. The first phase of this renovation project, the restoration of the 1850 carriage doors, replacement of all 28 windows, and new stairways and exits was completed in 2010. The Cayuga Museum will use Theater Mack for its own programming &#8212- lectures, slideshows, special events and more. The annual Theodore Case Film Festival, which has been held at both Cayuga Community College and the Auburn Public Theater, will come home to the Case property. And the Museum will rent Theater Mack to other organizations, creating revenue to support Museum operations. Theater Mack is one of the venues for the new Finger Lakes Musical Theatre Festival set to begin in Spring 2012. New York supplied more men, money and material in the Civil War than any other state North or South, but New Yorkers responded to the Civil War in diverse and often contradictory ways. On Sunday, July 10 at 2:00 p.m. at the Cayuga Museum, Robert W. Arnold will present an illustrated lecture on New York during the Civil War. Concentrating mainly on the home front, Arnold’s presentation will examine a sample of New Yorkers’ responses to the war and some individuals who exemplify them, all in the political, social and military contexts of that turbulent era. 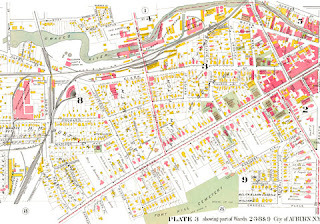 Arnold explores the social costs of the war as they played out in the farms and cities of the Empire State, in families, workplaces and neighborhoods. Arnold is a career public historian, now retired from the New York State Archives. This Speakers in the Humanities event, which is free and open to the public, is made possible through the support of the New York Council for the Humanities, a state affiliate of the National Endowment for the Humanities. The lecture is part of the Cayuga Museum’s commemoration of the 150th anniversary of the start of the Civil War. The Cost of Freedom: Cayuga County in the Civil War is the lead exhibit at the Cayuga Museum through Labor Day weekend. On Sunday, August 21, at 2:00 the Museum will host a lecture by Dr. Laura Free of Hobart College entitled Bullets, Belles and Bloated Bodies. On Sunday, August 28 at 2:00, the Museum will host a guided conversation titled The Gettysburg Address Challenges America. On Thursday, September 1, the Museum’s History Book Club will discuss Confederates in the Attic: Dispatches from the Unfinished Civil War by Tony Horwitz.